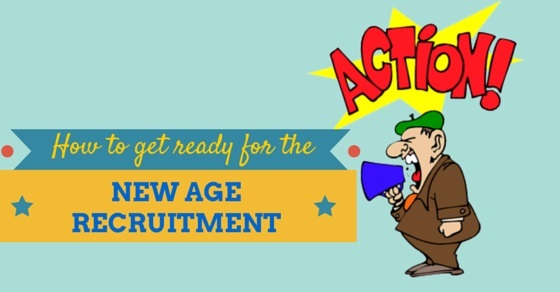 Agency hiring is entering the whole new era of recruitment. There is more fun, more money and better opportunities. However not everyone can enjoy these perks which comes with certain challenges. Only those who can quickly adopt to the fast-changing business place can survive and prosper. Recruitment businesses who thrive to improve on the following 4 critical areas of their recruiting strategy, can come out with flying colours in this new age recruitment. Any recruitment business who relies on candidates pro-actively applying for their jobs are destined to fail. As a recruitment agency, your job is to uncover those unique candidates who have yet not started their job search actively and therefore they are not available to your competitors and your clients. You must know that LinkedIn and Job Boards are quickly becoming ‘old school’ recruitment. Of course, they are still useful and will remain to be so but they can’t give you any competitive advantage because of their availability for everyone. If you have been believing a candidate is the person who applies for your job, You are mistaken. The candidate is anyone who is suitable for the client’s role irrespective of their availability for the job. If they are not actively looking for jobs, it’s your job to convince them for applying. In fact, this category of recruitment is the one you should target as these are the ones who are not available on job boards and with other recruiters. New age recruitment needs you to focus on long term candidate relationship and smart use of social media as well as CRMs and big data can help you achieve that. If you think Cold calling and mass emails are the only ways of client development, you seriously need to re-think it. It’s a digital world now where recruiters are getting involved in various ways of online customer engagement. Old school recruiting was all outbound. The idea is to shift the paradigm. New recruitment is more about inbound lead generation and then employing old school tactics for candidate relationship management. The job market has changed, so has the candidate behavior. The only thing which has remain consistent so far is recruiter’s behavior. They are still hiring the old way. The modern day recruiters are no longer just a sourcing experts, They are also Digital researchers, branding specialists and master networker’s. Investing in training for your recruiters is the best investment for any recruitment business. As they are the ones who can either make or ruin your business. Upgrading their hiring skills and making them aware about newer recruitment technologies can turn your business around on positive side. If you want to get benefited from the golden era of recruitment, you need to have an evolved recruitment strategy for your business and you might want to implement it fast before new technological forces makes it obsolete. Yogi works with Wisestep.com as Head of Recruitment (Referral Wing) and writes about Recruitment, Human Resource and Management related topics.